It doesn’t get much more personal or handcrafted than a piece from Odin Leather Goods. 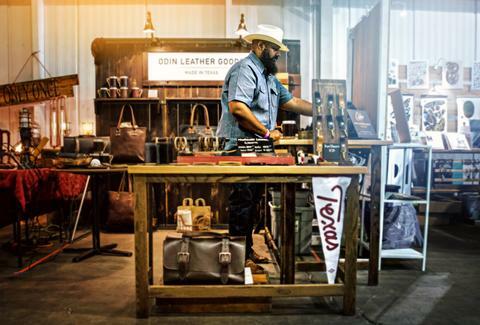 Crafted by Odin himself, what started as a passion project and hobby for the proprietor has become an in-demand line of goods ranging from bags to wallets to home goods and tech accessories. He may be a digital marketing director by day, but by night, Odin produces top quality goods which are hand cut, stitched and finished. 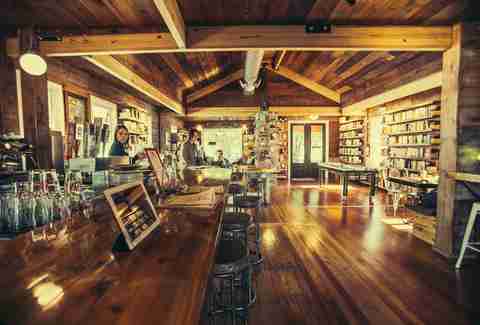 In a world filled with megastores and drone delivery, there’s something to be said for the shopping experience that is browsing a carefully curated independent bookstore. 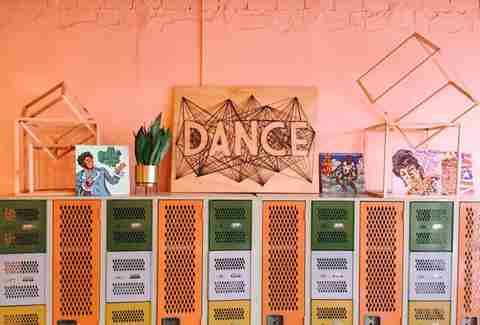 Founded by two Spaniards who found themselves in Dallas for work, the little neighborhood book store that could also serves as a work space, bar, and restaurant as well as a performance venue for live book readings, music, and theater. Brought to you by the same fine folks that brought you the record store to end all record stores, Good Records on Lower Greenville, this shop specializes in kitschy pieces from the past as well as home décor and artwork. Owned by members of the ever-creative Polyphonic Spree family, even Spree leader Tim DeLaughter has put his personal collection of hundreds of pieces of ’70s vintage ephemera on sale. Pair it with the yoga studio upstairs and cocktail lounge supreme The Lounge Here (opened last year by Spree member Julie Doyle and former Hagfish drummer Tony Barsotti) nearby and you’ve got yourself a great evening out. If you love your pets like a furry member of the family, the folks at Petropolitian know exactly how you feel. Whether it’s grooming, boarding, training, or doggy day care, Petropolitian’s Downtown and Oak Cliff locations are a dog’s happy place. 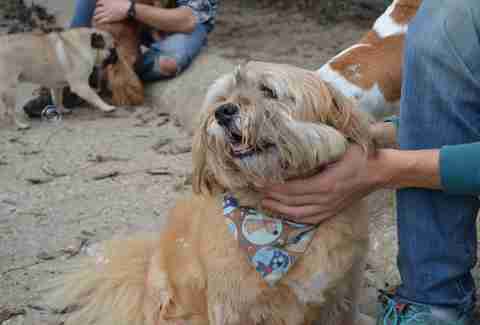 The fact that owner Chris Watts is a well-known animal rescue advocate in the city is an added bonus that ensures that your pooch is in good hands. Committed to socially responsible designs but also looking for a one-stop-shop in which you can find a collection of those goods? Look no further than Opportunity Market in the Bishop Arts District. The owners of Opportunity Market take the legwork out of Fair Trade shopping. Every piece of clothing, home décor, and jewelry sold at this store is made in America and sourced from small batch makers. 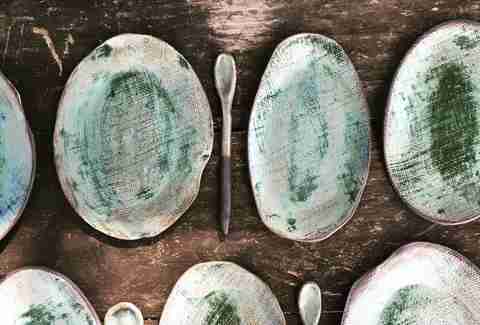 These makers of vintage inspired handmade stoneware pottery believe that one-of-a-kind stoneware creates a statement. The fact that each piece is handmade and never an exact copy of a previous piece means that they each carry their own charm and personality. From flatware to vases, you’re guaranteed a conversation starter when you buy a piece from Your House or Mine. Plus, we really dig the name. Owned by local house DJ Joshua Kynd, this temple of vinyl, vintage clothing, and knickknacks located in Garland already should be on your radar. But the fact that the store was the victim of a gnarly post-Christmas break-in means that you should hurry over to the Jupiter Rd store, post-haste. The DJ community in Dallas has rallied around its own to support Retroplex. And did we mention how awesome the selection of vinyl is at this place? This Denton-based textiles company is headed by Turkish-born and Australian-raised Ceren Alkaç-Lee. She has taken her knowledge and love of high-quality Turkish textiles and created a brand which offers ethically-made clothing, Kilim rugs and pillow, Turkish towels, blankets, robes, and more. If you’re looking for trendy textiles and classic clothing pieces which are small batch and sourced ethically, look no further than Odd Bird. Lovers of graphic novels, collectible figures, and gaming have found their happy place at this Oak Cliff store. Run by professional bad-asses Kenneth Denson and Gabriel Mendez, Red Pegasus does more than just offer that week’s new arrival of comic books. They host gaming nights and special sales as well as offering a place where all are welcomed. While the shop deals with construction related to development in Bishop Arts District, there’s no better time than now to give this local independent business your hard-earned cash. There’s a reason why Dolly Python is regularly mentioned in fashion bibles and is the go-to destination for visiting fashionistas and designers. Owner Gretchen Bell has curated one of the most enviable collections of vintage couture, cowboy boots, and one-of-a-kind pieces of décor. Also, you’re always guaranteed to run into a character of some kind at this endearingly kooky shop. Pin Show founder and advocate for local makers Julie McCullough’s line of hand-dyed and ethically produced fashion and home goods combine natural fabrics with modern designs. The entire seamstress staff of Folksie are working mothers who are paid above average wages and given schedule flexibility to take care of their children. Drawing inspiration from the wide open spaces of West Texas, McCullough creates designs that flatter and fit any shape. Folksie also offers flash sales and special offers via their Instagram account. Dallas-based photo artist Richard Bettinger has created this custom line of wall treatments which are designed to help soothe and relax as well as add a pop of visual intrigue to any wall. 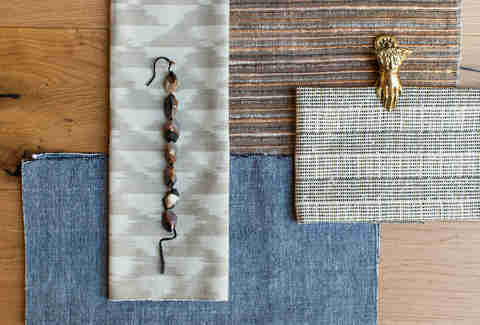 Created in small batches and customizable, the Newlon Collection seamless marries art and décor. The wall treatments are available exclusively through David Sutherland Showrooms in Dallas, Houston, Chicago, New York, Los Angeles, and Dania, Florida. In a world of mass-produced goods, Kufri as a business exists as a means to preserve and promote the art of hand-loomed and weaved fabrics. Founder and designer, Mili Suleman, was born in Mumbai, India and raised in Oman. A graduate of Texas Christian University, she is committed to producing vibrantly patterned fabrics produced by women weavers. Textiles, pillows, and home goods are available on her website and custom orders can also be accommodated. If you’re tired of synthetic and overly sweet cookie scented candles which are equally likely to cause as headache as they are to freshen a room, Society Candles is the shop for you. An offshoot of the Jackson Vaughn design and décor firm, the candles utilizes natural scents such as jasmine, sage, and patchouli. 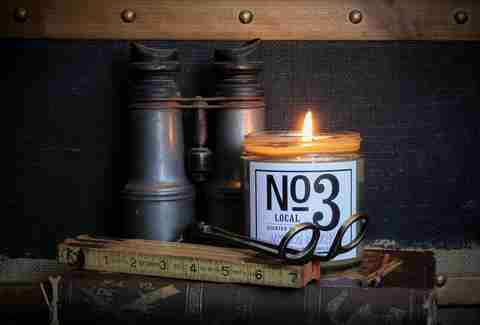 There is also a Texas-specific line with candles named for and inspired by major cities in the Lone Star state. When it comes to an eye for unique design, what could be better than jewelry designed and handmade by two women who come from the world of architecture? Shoshanna Frank and Casey Melton originally connected through shared employment at an architectural elements design firm. They left that field to pursue jewelry making full time and now offer designs inspired by animals and nature in general. Amanda Cobra is a freelance writer based in Dallas. She has somehow parlayed her shopping addiction into a writing gig. She is a sucker for beauty products and black tank tops. Follow her on Twitter at @amandacobra.